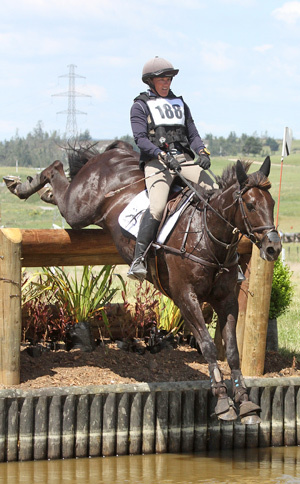 A dozen of the best New Zealand based eventers are preparing to vie for honours at this weekend’s three-star Puhinui Horse Trials in Auckland. The CCI 3* is the highest graded event riders can compete at in New Zealand, with just two other chances for high-level competition, at Christchurch in April and Taupo in May. This weekend 12 combinations will contest the 3* event, and many with aspirations to compete at the next Olympics and World Equestrian Games. Christen Hayde, winner of this event last year, is back to defend her title with Tandarra Sweet As. Donna Smith, recent winner of the National One Day Event title, has two horses, Just Chocolate and Balmoral Sensation, and many are picking her as the one to beat. Annabel Wigley won’t have made the trek up from Christchurch with her two horses unless she fancies her chances. Heelan Tompkins, who competed in both the 2004 and 2008 Olympics, is also a strong chance with Cortaflex Ski Whistler. There are very strong fields in the lower graded classes including two of our up-and-coming UK based stars, Clarke Johnstone and Lizzie Brown. Johnstone was a strong contender for the Olympic team but had to withdraw due to an injury to his horse. He was part of the New Zealand World Championship bronze medal winning team in Kentucky in 2010. Both Johnstone and Browne are aiming at getting one of those hard-to-get spots on the NZ team at the next World Equestrian Games in France in 2014. Puhinui International Three Day Event is on from Thursday 6 to Sunday 9 December 2012 on the Puhinui Reserve, Prices Road, Manukau City. Thursday is the first horse inspection (consists mainly of a veterinary check). Dressage is Friday 7 December, cross country on Saturday 8th, and showjumping Sunday 9th December. Prizegiving will be held on completion of the showjumping on Sunday. The CCI 3* cross country will start at 11:40am on Saturday although there will be lower level events being held before and after this class. ← So much grass for two horses!